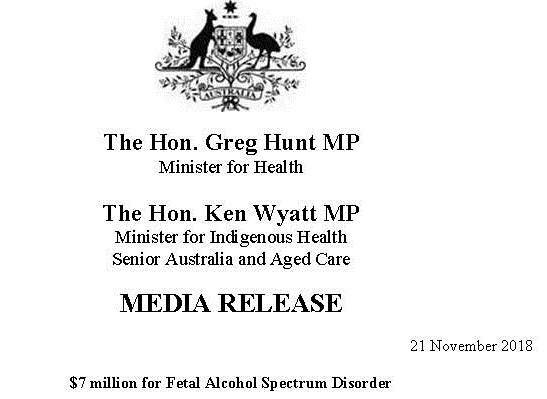 NACCHO Aboriginal #RefreshtheCTGRfresh and #FASD2018 @GregHuntMP and @KenWyattMP unveil a new National Fetal Alcohol Spectrum Disorder (FASD) Strategic Action Plan 2018- 2028 and more than $7 million in new funding. “Success is underpinned by a team effort, with collaboration between families, communities, service providers and governments. Alongside the plan’s release, I am pleased to announce a new investment of $7.2 million to support activities that align with these priority areas. 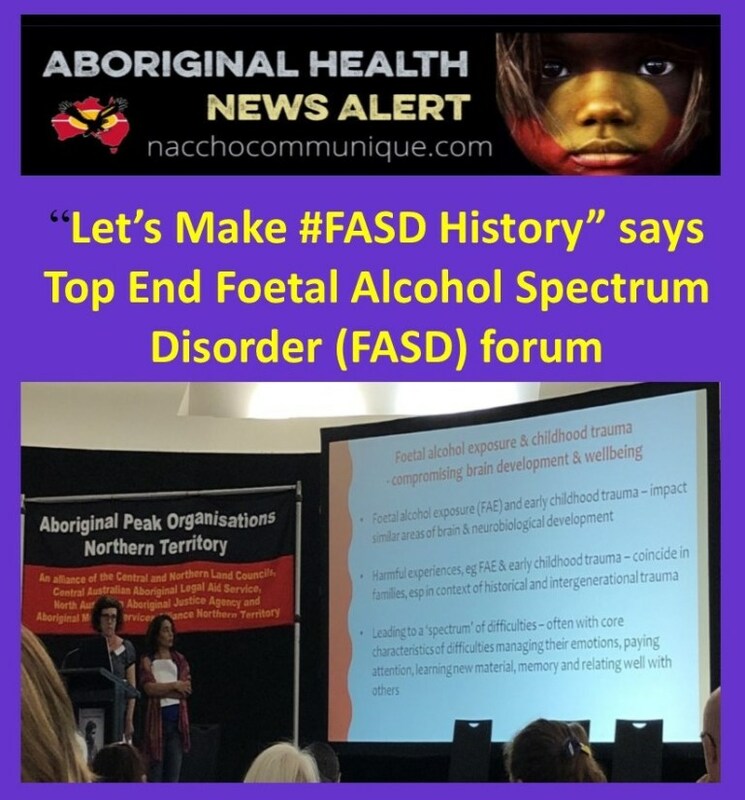 ” The forum delegates agreed that there was an urgent need for action to prevent FASD in our Top End communities, and across the Northern Territory. It is essential that our responses do not stigmatise women or Aboriginal people. It is important that we don’t lay blame, but instead work together, to support our women and young girls. Everyone is at risk of FASD, so everyone must be informed the harmful effects of drinking while pregnant. 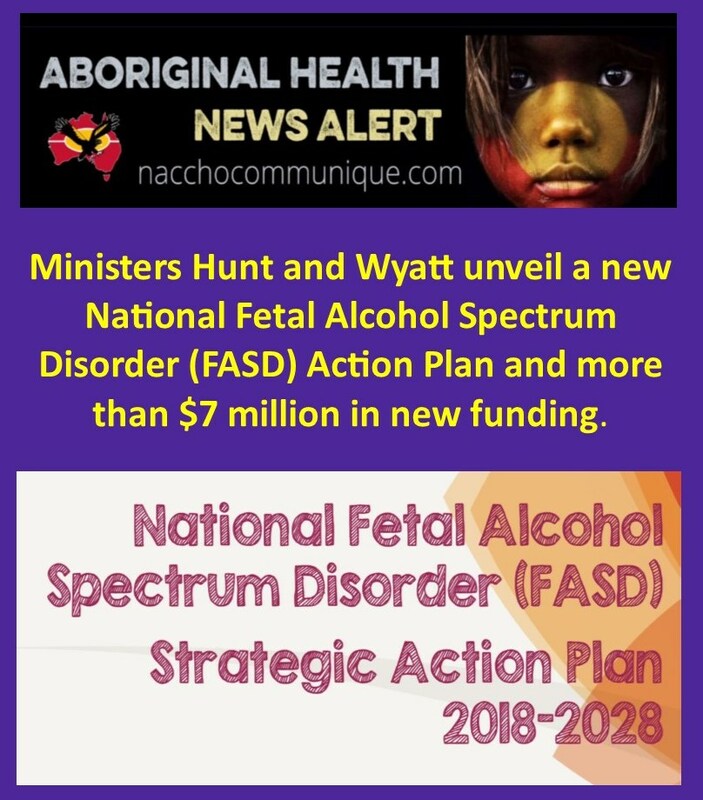 The Federal Government is stepping up its fight against Fetal Alcohol Spectrum Disorder (FASD) today by unveiling a new national action plan and more than $7 million in new funding. This funding will enable new work to get underway and build on proven programs – to help protect future generations and give children the best possible start in life. 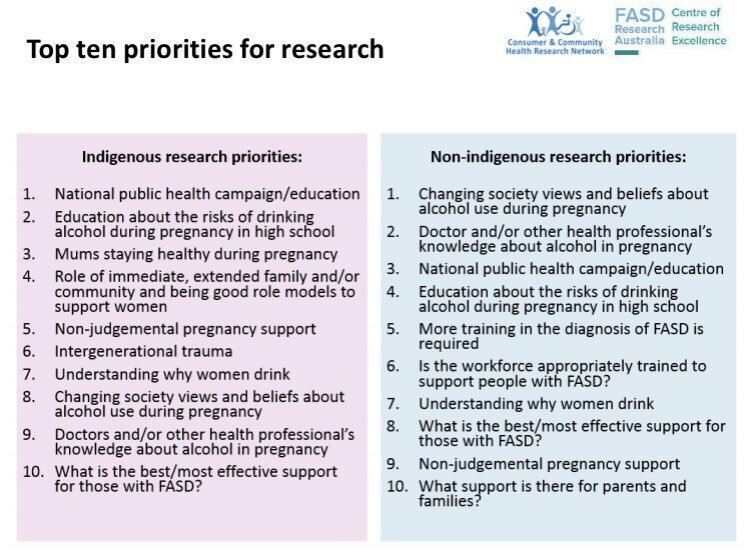 FASD will be tackled across a range of fronts – including prevention, screening and diagnosis, support and management, and priority populations at increased risk of harm. PREVENTION: $1.47 million including new consumer resources and general awareness activities – including national FASD Awareness Day, translation of awareness materials into a variety of First Nations languages, and promotion of alcohol consumption guidelines, and bottle shop point of sale warnings. SCREENING: $1.2 million to support new screening and diagnosis activities, which will include reviewing existing tools and developing new systems and referral pathways, to assist professionals in community settings. MANAGEMENT: $1.2 million goes to management and support activities, including tailored resources for people working in the education, justice and police sectors. LOCAL TARGETING: $1.27 million to develop targeted resources, to meet local cultural and community needs. BUILDING ON SUCCESS: $1.55 million to continue proven activities – with support for Australia’s FASD Hub, a one-stop shop containing the FASD Register and public awareness campaigns. The Strategic Action Plan also establishes an expert FASD Advisory Group – which will report to the National Drug Strategy Committee on the progress being made, while promoting successful models and highlighting emerging issues and evidence. FASD requires a national approach, linking in closely with local solutions. We are acknowledging the scale of the issue in Australia and intensifying efforts to address it. The activities and actions outlined in the priority areas of the Plan are intended to guide future action – they are not compulsory and can be adopted as needed, along with other interventions and programs, based on local needs. Activities should be evidence informed and based on best available research and data – actions should be tailored to individual communities and regions.